North County Group Conservation Grants | North County Group – Sierra Club S.D. The North County Group is committed to exploring, enjoying, and protecting the planet. Towards that mission the North County Group leads conservation outings and supports and works with other environmental groups to set aside and protect land for hiking and to protect habitat for endangered species. The North County Group uses the funds it generates from its Wilderness Basics Course to support the Sierra Club San Diego and to provide annual grants to North San Diego County organizations that conserve and manage open space and endangered species habitat, or support hiking and the enjoyment of the outdoors. The NCG was pleased to award the 2015 Conservation Grant to the Friends of Daley Ranch. Each year, this organization brings every 7th grader from all five of Escondido’s public middle schools to Daley Ranch for a full day field trip, where they engage in six fun, hands-on learning stations. Many of the children are from families that rarely, if ever, consider a visit to nature. The students’ eyes are wide, as they soak up the natural wonders and they return to their neighborhoods and families to share the marvels. In 2014, the NCG Conservation Grant was awarded to the Fallbrook Land Conservancy. The funding from this grant was used to assist in the maintenance of the Fallbrook Land Conservancy’s preserves in Fallbrook and Bonsall areas which include 2025 acres permanently protected for the public benefit. Emphasis will be on work on six of the preserves, which have trails that need yearly trail work and brush clearing along with graffiti removal and trash pickup along the trail system. 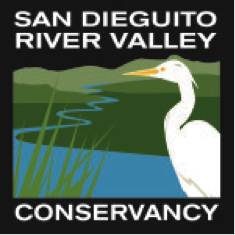 In 2013, the NCG Conservation Grant was awarded to the San Dieguito River Valley Conser vancy to support the development of the Citizen Science Multiple Species Monitoring Program for the San Dieguito River Valley. The goal of this program is to educate, engage and encourage trail users and volunteer Citizen Scientists to perform plant and wildlife monitoring and gather and analyze this field data from across the watershed.